Business Relationship Management provides a way for customers to communicate with the service provider about their needs, opportunities and requirements, and to have these taken care of in a formal, organized manner. 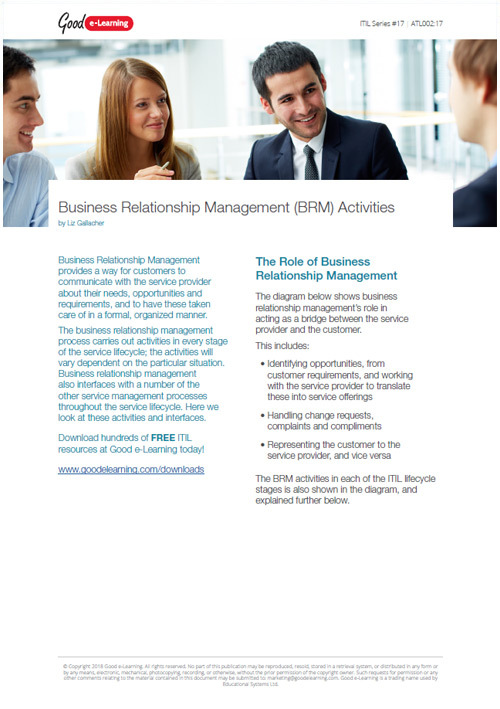 The business relationship management process carries out activities in every stage of the service lifecycle; the activities will vary dependent on the particular situation. Business relationship management also interfaces with a number of the other service management processes throughout the ITIL Service Lifecycle. In this article, we look at these activities and interfaces.